The Sciennes Parent Council’s Events & Fundraising Group each year successfully raises a significant amount of funding through its events with the help and support from the parent community, school staff and pupils. The Friends of Sciennes School also raise significant sums of money, for example through the annual swimathon, that has taken place every year. 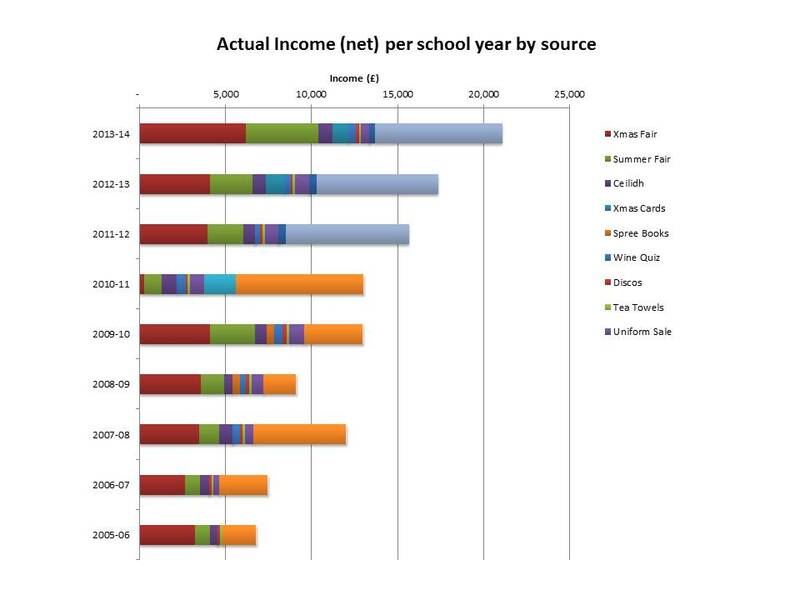 The chart below shows the amount raised via each event over the past 9 school years. The main aim of the fundraising is to subsidise school trips and clubs to those children in receipt of Free School Meals. We also support the school by purchasing equipment that is needed to assist them with the education of our children and historically this has included visualisers for every classroom, smartboards, projectors, iPads etc as well as buying AV equipment for the hall. 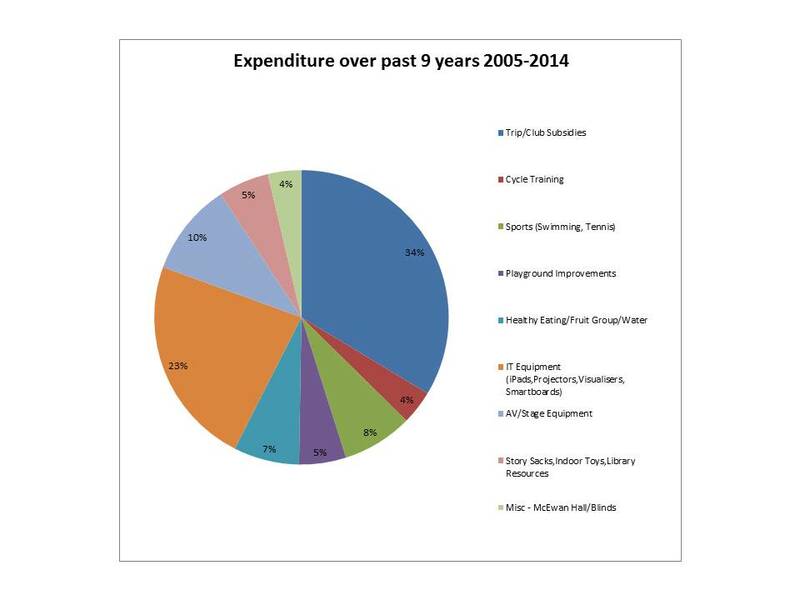 The chart below shows how the funds raised were spent over those 9 years.